Wise Wednesday & Bears Attack: Over 40 specials applies Wednesday 8 a.m. to midnight | Sunday 12 p.m. to 6 p.m. $8 Lockers | $15 Rooms. Boys Night: Boys (under 25) $5 Lockers Monday 6 p.m. midnight. Entourage Gay Bathhouse Las Vegas is open 24 hours a day, 7 days a week and we are open 365 days a year. 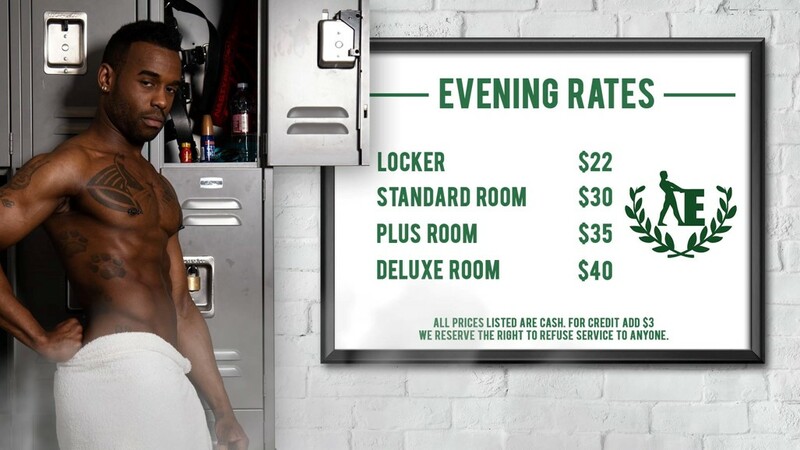 Membership is all inclusive and includes a locker or room.